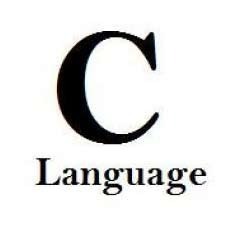 By understanding the requisites of our patrons in the best possible manner, we are increasingly immersed in offering C Language Course to our clients. Rendered underneath the supervision of competent and qualified executives, these offered services are highly commended. More to this, our ability to alter these has earned us a leading standing in this enormously competitive industry. The book contains the concepts of OOPs, methodology, general C++ program, classes and object concepts, Object based programming, Object oriented programming, inheritance, polymorphism etc. This course covers software such as operating systems, and compilers. This programming course skims through the basics of C and soon jumps over to the core of the C .programming language. Owing to our experience in this domain, we are occupied in offering supreme assortment of C Programming Training. We offer this service to our respected patrons within the assumed time. We provide these services to our customers at very affordable pricing structure. These services are provided by talented and skilled IT professionals. 4. Scope & Future of C++ Programming. - Training is given by the developers who are actually involved in development of enterprise applications.